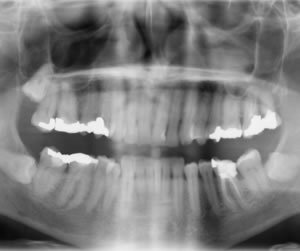 Digital imaging is a useful tool for dentists in developing patient dental treatment plans. Digital imaging is used in combination with dental simulation software to process a pre-procedure image to illustrate what the treated teeth should look like after the process. Digital imaging helps the dentist make an accurate diagnosis, perform the procedure more accurately and reduces the number of examinations necessary. Dentists can also use digital imaging to educate a patient and illustrate what the teeth will look like post treatment.